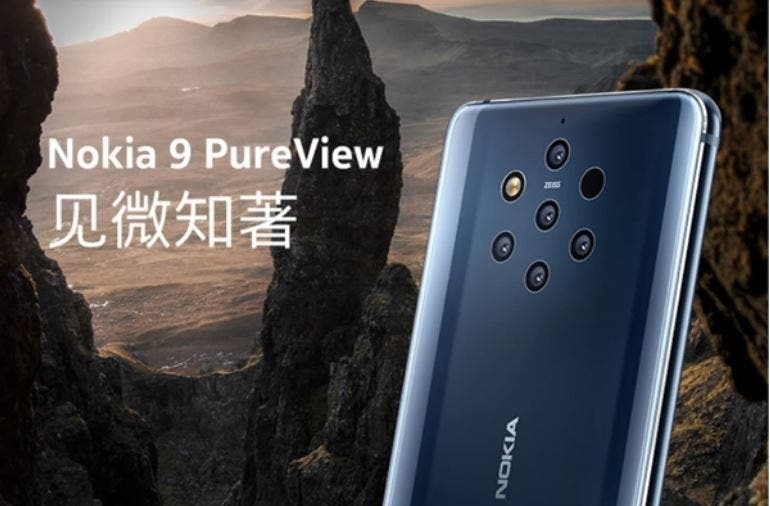 HMD Globa Nokia will be unveiling the Nokia 9 Pureview later today, but the phone was prematurely listed on JD.com, confirming virtually all the specs, features as well as renders of the device like we have seen in leaks and rumors in the past few months. Notably, the listing confirms the presence of five camera lenses at the rear with the with ZEISS branding, and while we haven’t been fortunate to know what pixel count the sensors will pack, the listing confirms that and we now know the device will come with a 12 MP + 12 MP + 16 MP+ 16 MP + 8 MP telephoto, wide-angle and depth lens, and what is more, HMD is cooperating with the American Light company to ensure it can shoot five with a total output of 60. The listing further confirms the Nokia 9 Pureview will get the in-display scanner, while it is expected to come with Snapdragon 845 processor with 6GB RAM and 128GB of storage. Perhaps one of the drawbacks of the device isn’t the lack of the notch or punch hole, but the fact that the maker has tucked the device with the date SD 845, even though there are already a bunch of high-end devices ready to storm the market with the latest SD855. With a body as thin as 8mm, the Nokia 9 PureView has in it a 3320 mAh and will come with support for Qi wireless charging. HMD Global already shared some sample pictures taken with the rear cameras, and by the look of it, the Nokia 9 lools set out to impress, at least on the photographic level. The Nokia 9 will be officially unwrapped at HMDs event later today in Barcelona, where it will reveal the official spec sheet, pricing and rollout plans of the device.